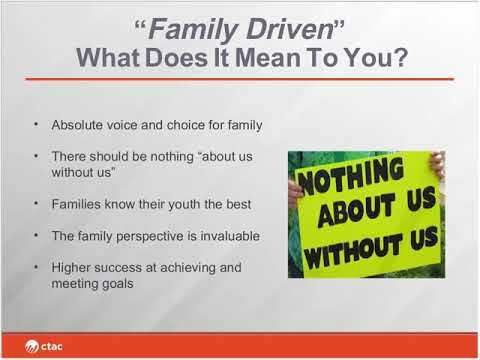 This webinar explores the concept of Family-Driven Care (FDC), the idea that families should have a primary role in making decisions about the care their family receives. We discuss what FDC means and why it is important, understand how to help families in their role and responsibilities in a family–driven partnership, and identify common challenges and misconceptions about family-driven care. Some tips and resources to help in moving toward a family-driven care practice are also be provided.